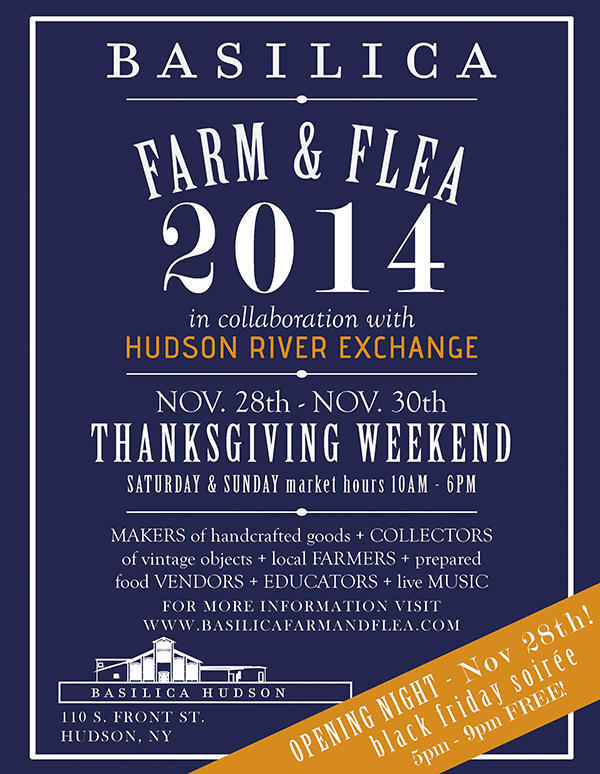 Farmers, artisans, vintage collectors, and makers of handmade and quality goods will converge at the 2nd annual Basilica Farm & Flea, the large-scale farm-stand and flea market taking place over Thanksgiving Weekend at Basilica Hudson in Hudson, NY. A local, artisan alternative to big box and mall shopping, Basilica Farm & Flea showcases fantastic wares made by regional and very talented people. The weekend kicks off with the Black Friday Soirée from 5 to 9pm on Friday, Nov 28th - which will offer attendees local food, music, and fun. Here now to tell us more are Melissa Auf der Maur, creative director of the Basilica Hudson, Farm & Flea’s farmer coordinator Lauren Giambrone (a farmer herself and maker of Good Fight Herb Co.), and Hudson River Exchange organizer Stella Yoon. Both will feature a wide selection of beautiful hand crafted, fairly traded gifts including jewelry, accessories, home decor, coffee and chocolate. BasilicaScope at Basilica Hudson running today and tomorrow and in its second year, dedicates its entire run to the legendary film director Alex Cox with his cult classics Repo Man, Straight to Hell Returns, and Walker. A visionary filmmaker who made the 1980s even cooler than they already were, Cox masterfully used satire and a rambunctious stable of actors to illuminate the sleazy politics of the era. Alex Cox will be in Hudson for the Festival. 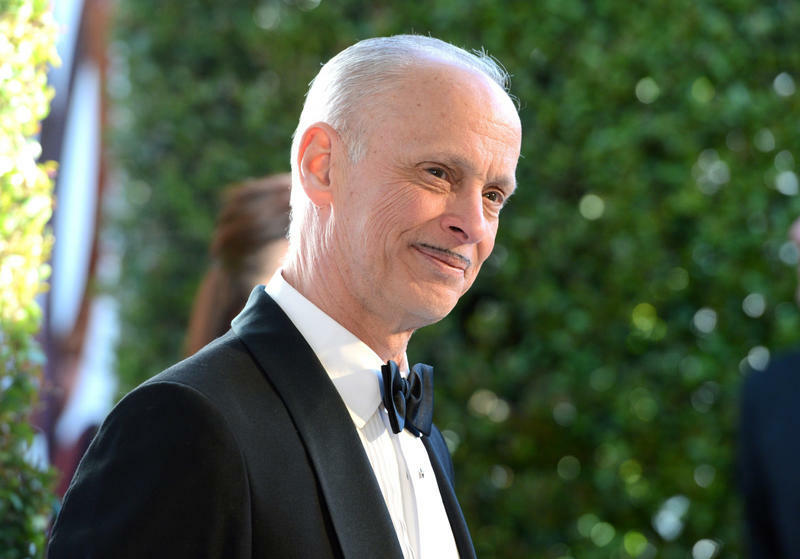 John Waters has never been afraid of taking risks. His films have depicted everything from convicted criminals to coprophagia, and he’s often been in the news for his controversial opinions. Hudson Chocolates are exceptional chocolates and confections crafted and designed by master chocolatier Francisco Migoya. Poughkeepsie, NY's newest chocolate shop opened its doors to the public on Saturday, March 23rd. Master chocolatier, Francisco Migoya, was named one of the "Top Ten Pastry Chefs in America" by Dessert Professional Magazine in 2011 and theHuffington Post in 2013, Migoya also served as the executive pastry chef at Thomas Keller's Michelin three-star restaurant, The French Laundry, as well as Bouchon Bakery, and Bouchon Bistro. He joins us to tell us more about this exciting confectionery adventure. Herbalist and founder of Good Fight Herb Co, Lauren Giambrone, will be teaching a seminar on herbal medicines at Verdigris Tea & Chocolate Bar in Hudson, NY on Saturday, February 1st. Giambrone has studied at the Northeast School of Botanical Medicine and apprenticed with 7Song. The class runs from 5 – 7pm. Lauren and Good Fight Herb Co offer medicinal herb products, health consultations, volunteer & work trade opportunities, community organizing opportunities, skillshares and workshops. Lauren joins us to teach us a bit about tinctures, tonics and teas that help promote “natural” health. We are also joined by Betsy Miller who will tell us more about Verdigris Tea & Chocolate Bar.